Talented Sydney mare I Am Excited begins a Melbourne campaign in the Cockram Stakes at Caulfield. Sydney mare I Am Excited has arrived in Melbourne to begin a campaign her trainer David Pfieffer hopes can culminate in a crack at the Group One Darley Classic. 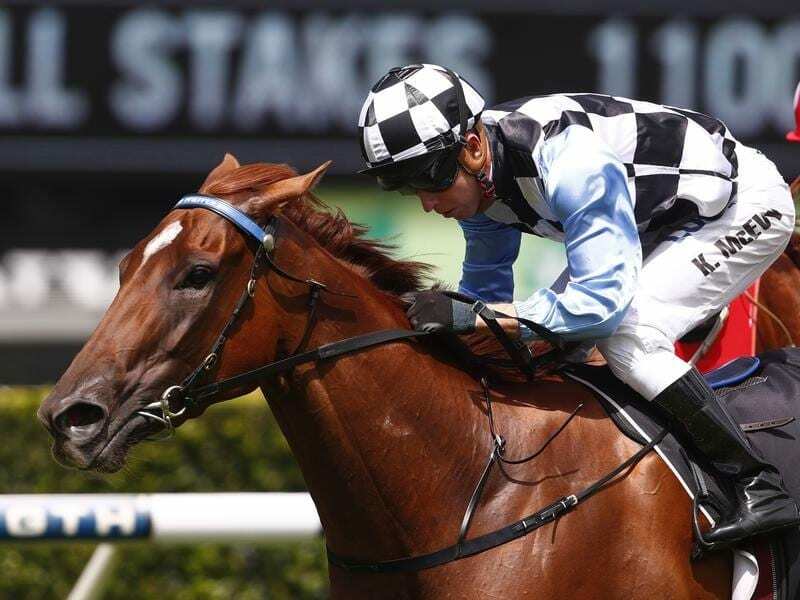 I Am Excited is favourite to kick off her spring preparation in winning fashion in Saturday’s Group Three Cockram Stakes (1200m) for mares at Caulfield and Pfieffer is bullish about the four-year-old’s prospects after a flawless build-up. “I’m pretty upbeat about her chances and also the upcoming spring,” Pfieffer said. A dual Listed winner and multiple Group placegetter, I Am Excited arrived in Melbourne on Thursday morning and Pfieffer said the mare was bright-eyed and straight into the feed bin after getting off the float. “She’s been down to Melbourne before so that’s always an advantage but this will be the first time she’s raced the Melbourne way of going because last time she raced down the straight at Flemington,” he said. “That will be new for her but every time I’ve asked her to step out into better company she has kept improving. Pfieffer said there was a good string of races, mostly fillies and mares’ events, before a potential crack at the weight-for-age Darley Classic (1200m) in November. “If her form suggests she’s going well enough I’m hoping to look at the Darley Classic at the end of the carnival,” he said. In her most recent trial at Rosehill, I Am Excited finished third to Redzel and alongside multiple Group One winner Trapeze Artist. Ben Melham will ride I Am Excited for the first time on Saturday and he has won the Cockram Stakes three times, including last year on Savanna Amour. “He’s got a great record in the race and knows Caulfield well so I’m pretty happy to get that booking,” Pfieffer said.